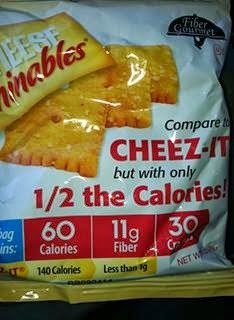 Do you love Cheez-its but hate all of the calories? We had the opportunity to try Cheese Thinables for review, and really could not taste the difference! My kids loves the cheese crackers. 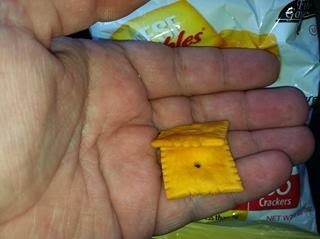 They were thin and seemed like the same taste and texture as the popular Cheez-its. But with only 60 calories, they are a snack you can enjoy-- even on a diet. They also have more fiber, so they are actually healthier for you and your family as well! Cheese Thinables are from Fiber Gourmet and if you like them on Facebook HERE, you will get a $5 off coupon! AND right now if you go to: http://www.fibergourmet.com/RequestSamples.aspx you can get your own free sample!